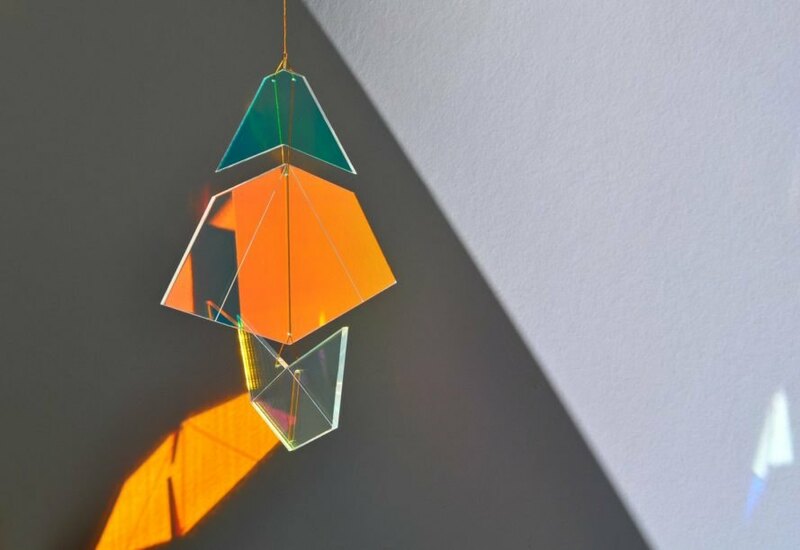 Amsterdam-based designer Frederike Top just unveiled her latest work – and it’s literally brilliant. 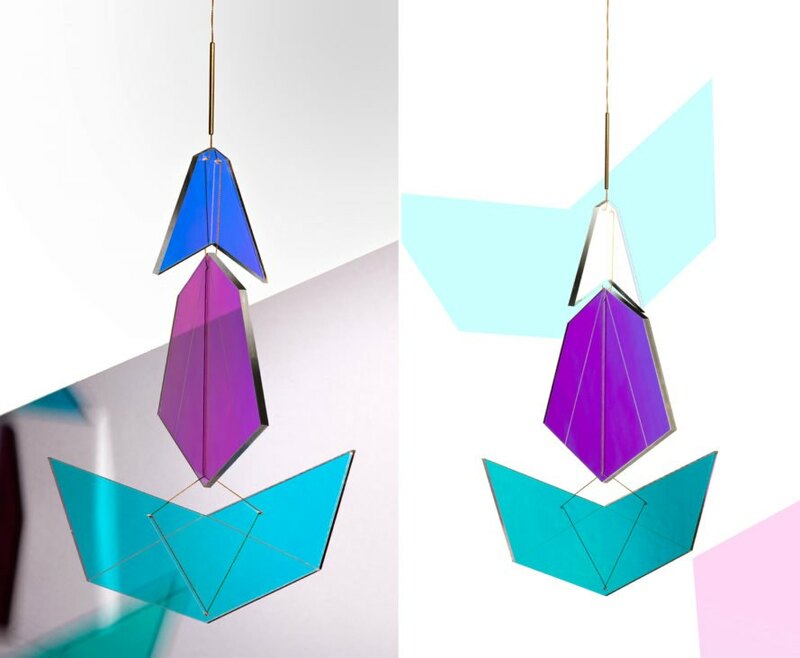 Reflected Sequence is a series of reflective mobiles that use geometric panels and LED lights to cast colorful, ever-changing reflections. 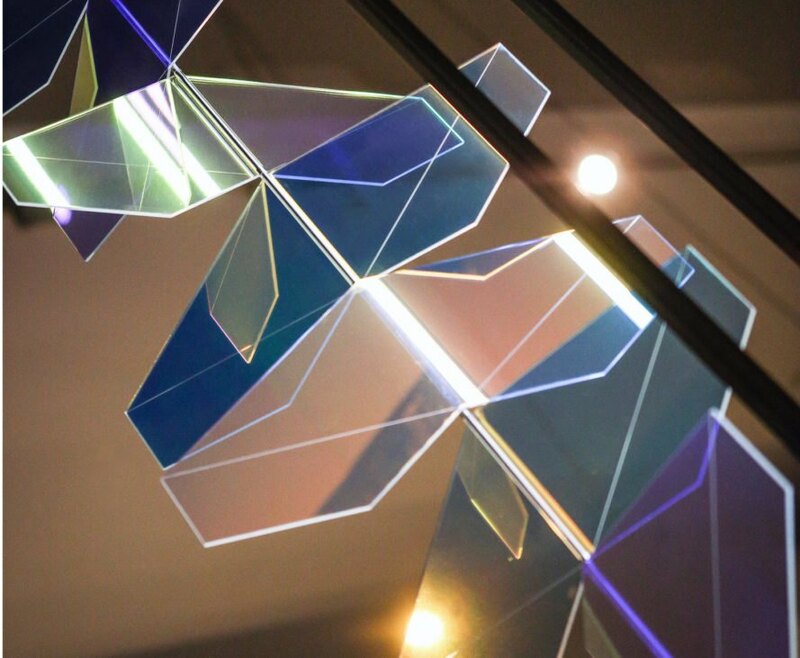 Top creates her striking pieces by stringing together panels of semi-transparent acrylate covered in iridescent foil. 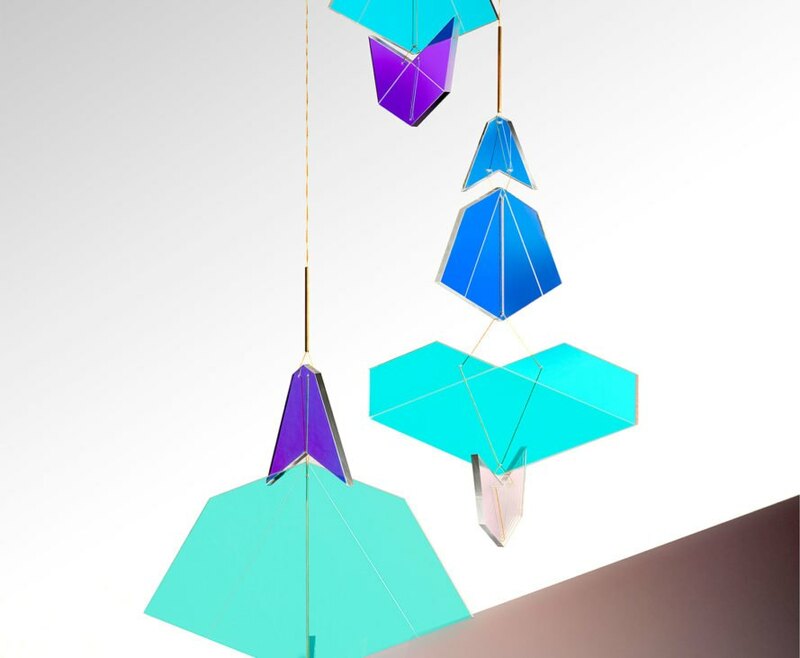 The series consists of hanging mobiles, table lamps, and window danglings illuminated by LED bulbs. 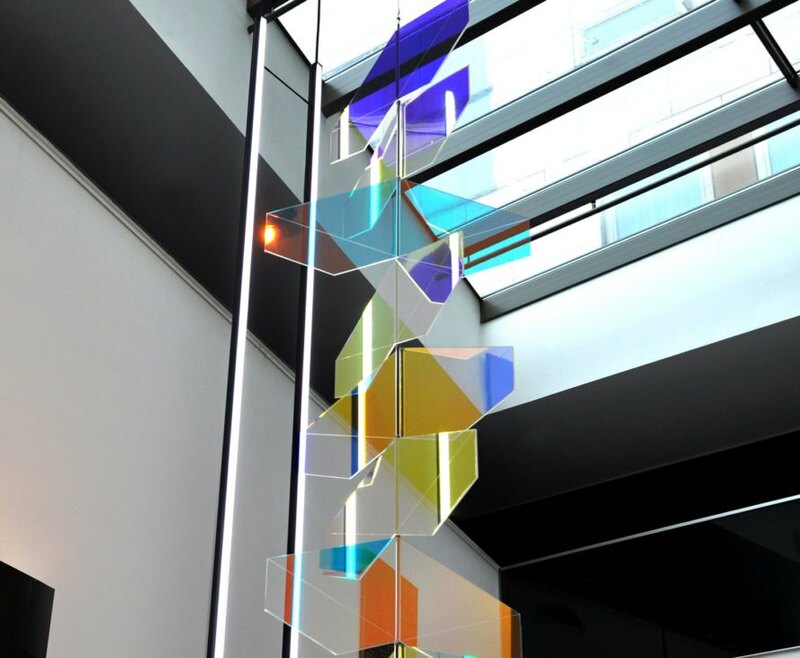 Whether hanging from the ceiling or placed on a table, the lamps create a kaleidoscopic light show that varies depending on the angle of view. 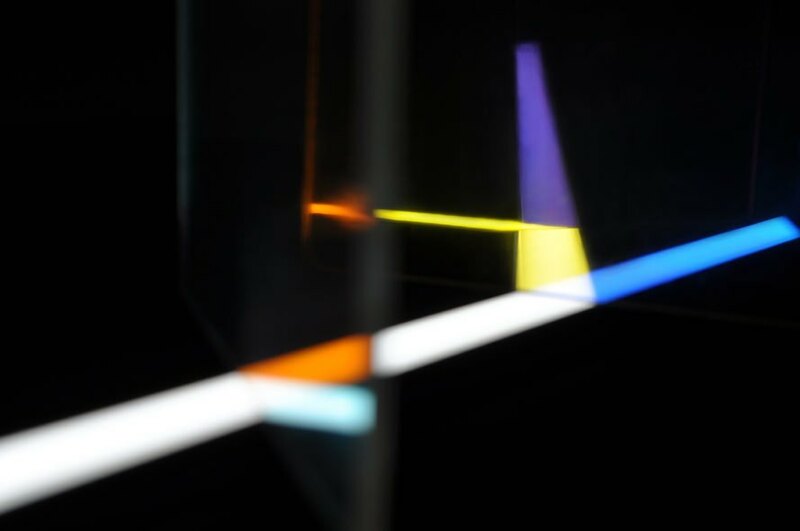 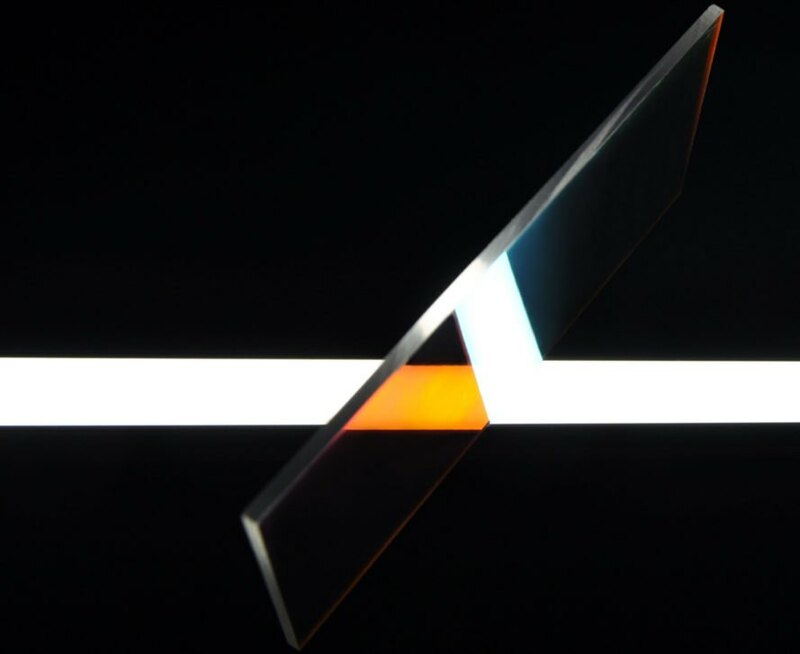 The result is a dynamic, ever-changing light source that never casts the same light twice. 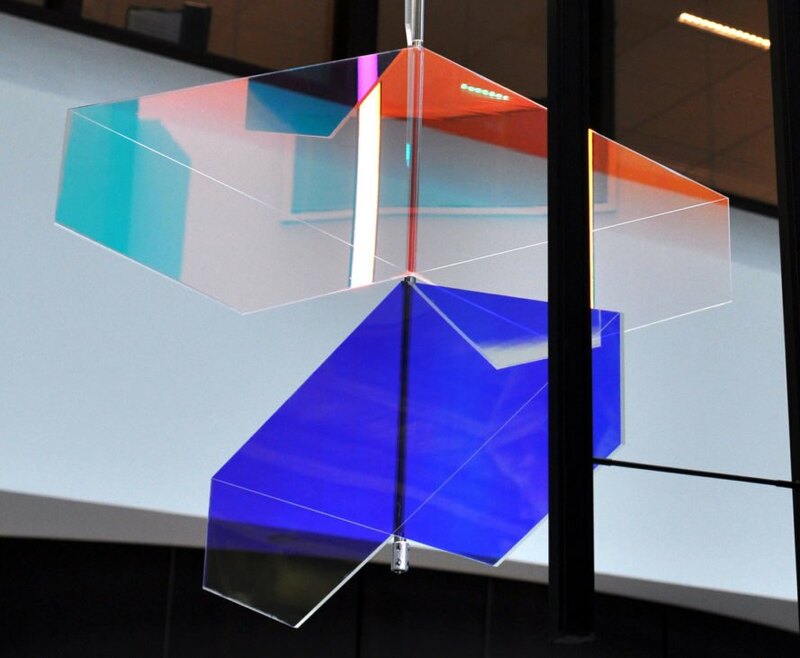 Amsterdam-based designer Frederike Top just unveiled her latest work - and it's literally brilliant. 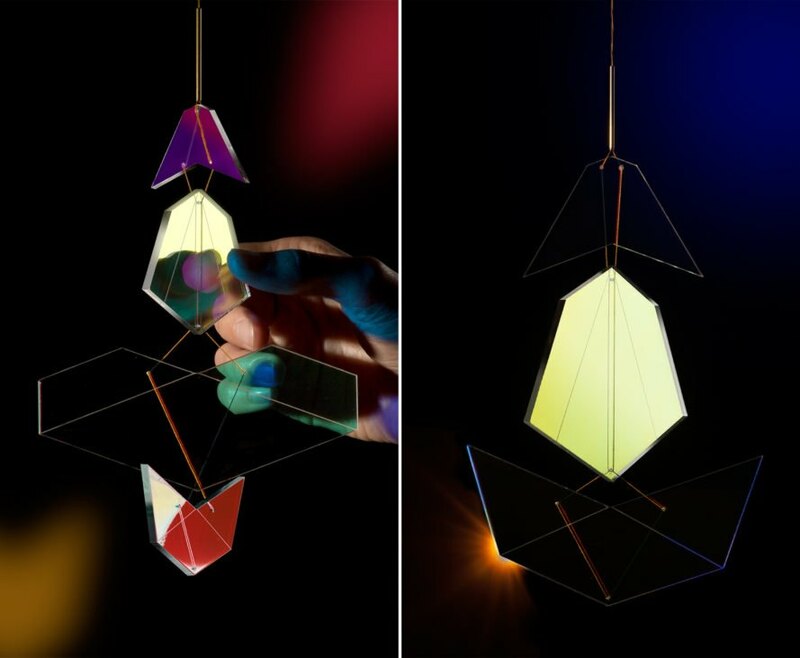 Reflected Sequence is a series of reflective mobiles that use geometric panels and LED lights to cast colorful, ever-changing reflections. 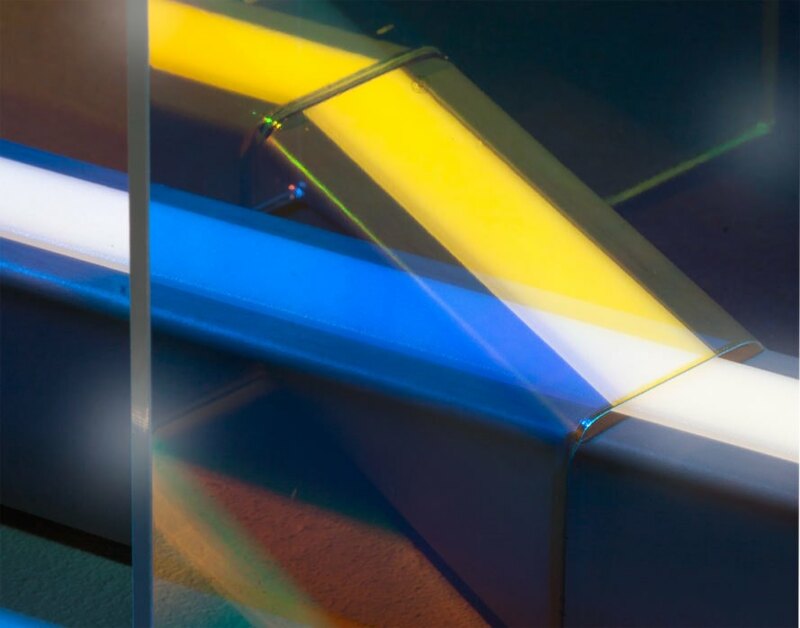 The Led Lamps reflect rays of ever-changing light.